In addition to family members and friends of Vito Russo, Vito features archival footage and interviews with what the Advocate‘s Trudy Ring calls “a veritable who’s who of the modern gay rights movement” including Bruce Vilanch, Larry Kramer, Armistead Maupin, Malcolm Boyd, Gabriel Rotello, Jenni Olson, David Ehrenstein, and Lily Tomlin. 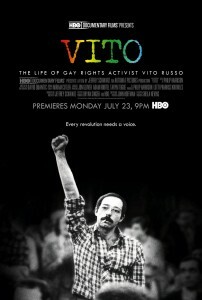 Vito looks like a fascinating look at one of the LGBT movement’s founding fathers. I can’t wait to see it! For more information about the documentary or about tonight’s premiere, click here.